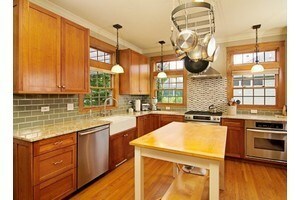 Having the chance to remodel the kitchen in your Chicago home is an exciting project to tackle. Updating and upgrading your culinary space can enhance both the beauty and the functionality. While we all dream of a large and spacious kitchen, sometimes that simply isn’t possible, at least not without taking on a full scale build out, which may be more than you are willing to get involved with. The good news, however, is that there are ways in which you can at least make your kitchen feel larger and more open. It comes down to making appropriate choices during your renovations, in order to make this possible. The kitchen has become the cornerstone of most homes; the space where loved ones get together to talk, eat or even study. So make it a point to make the most of your remodeling project, in order to end up with results that you and your family will love, for years to come. A surefire way to help the space feel more open is to go with an open cabinet plan. Remove the doors from your overhead cupboards in order to create the illusion that the room is more open. The good news is that this will also make it easier to access what’s in your overhead cabinets. At the very least, opt for cabinet doors that use clear glass so it looks more open. Both natural and artificial lighting is another way to create a sense of openness. Make it a point to work with your kitchen remodeling contractor in order to create the perfect lighting plan. Not enough lighting means the space will feel more cramped and enclosed. Not to mention, this makes it difficult to cook, bake and prep. Although an island kitchen takes up space in a small kitchen, it also provides valuable countertop and storage space. If space allows, consider adding this to your kitchen. Decorate with your best pots and pans. This will not only look good, it will give you additional storage space to work with. Free up your cabinets and cupboards for other items that require storage. On the other hand, plan to try to leave appliances off the countertops so you have more usable space. Too many items as permanent fixtures on your counters can cause the space to look cluttered, which makes it feel smaller. Make your color selections carefully. Darker colors close up a space while lighter hues open it up. White, neutral shades, peaches and yellows are all perfect color selections to make. Don’t forget that this should include the flooring, as well. One of the smartest ways to get the results that you want is to hire the right team for the job. Ask around and locals will tell you that Best Home Renovations Inc. is the name to trust in for quality results. Simply put, we are craftsmanship masters, when it comes to projects like kitchen remodeling. This includes offering real life working solutions, such as how to create a bigger and more open space. For over 20 years now, our name has been at the forefront of local renovation work. A family owned and operated outfit, we take great pride in the work that we do, which is clear from the impeccable results we are able to deliver to each client. We look forward to having the chance to work with you and make sure that you get the exact results you had hoped for. Even better, our goal is to help you end up with a look for your kitchen you never even dreamed of. Let us help transform your current house into the home of your dreams. 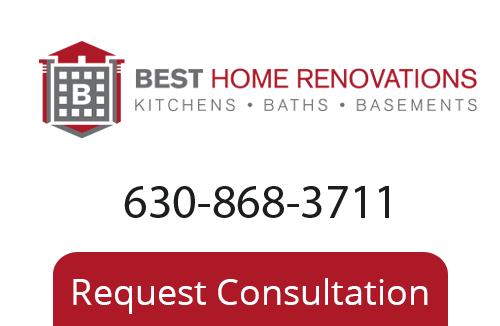 If you are looking to contact your Chicago Remodeling Company please call 630-868-3711, or fill out our online request form.